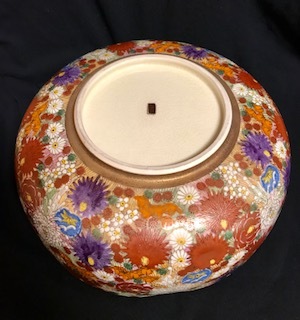 I purchased this bowl at an local Thrift Shop in Florida and have seen quite a few online. 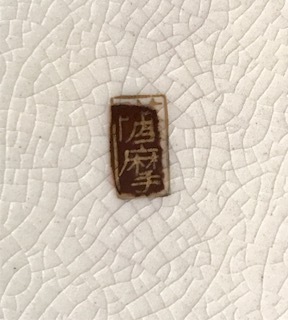 The quality of this one is far superior to the ones I've seen and the gold stamp on the reddish background was bigger, therefore some is on the clay. Can someone please weigh in? I'd like to now what it says on the bottom please. The mark is just saying Satsuma 薩摩. 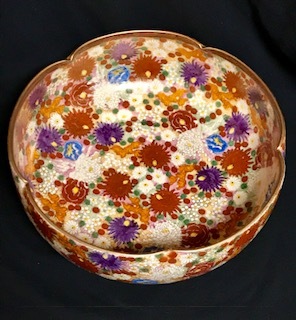 This bowl can be made anytime between late Meiji till Taisho, like 1890-1925. Thank you very much for the information. It is a beautiful piece and I love it.